In April, we were privileged to present a check in the amount of $34,700 for Harvest Oaks Baptist Mission in Allen, Texas to pay on their property. This young congregation had 130 on Easter Sunday morning in the farm house they have temporarily converted to worship facilities. Then, on July 9th, we presented a check for $20,200 for Lifepoint Baptist Mission in Owasso, Oklahoma. Lifepoint had received their long anticipated building permit the previous week. Each of these checks included $3,000 from Brotherhood Mutual Insurance Company. These mission congregations are so thankful for the support from churches, individuals and Brotherhood to assist them in equipping them in proclaiming the gospel to their communities. IMD is like parents and grandparents helping our children become better established for an honorable and productive life. We certainly pray that those congregations will have that too. However, the real value is not in the amount of money, but in the number of souls saved and lives changed through the power of the Lord. 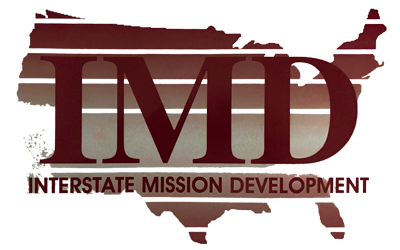 The overwhelming majority of support through Interstate Mission Development comes from churches. These churches have pastors who have a heart for missions, both interstate and foreign. These churches and God's people in this country are also the major source of support for foreign mission work.